Carla’s cameo in the new Woody Allen film? Michelle’s alleged frustrations with life in Washington? 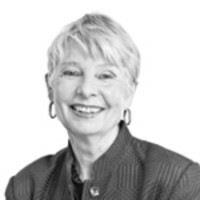 Eleanor Clift on possible conversation topics at today’s midday meeting at the White House. It is the ultimate ladies’ lunch: Two accomplished women, married to heads of state, dining Monday at the White House. There’s plenty to share if they dare, the difficulties their husbands face governing in trying times, and the frustrations each must feel in her assigned role as first lady. Michelle Obama and Carla Bruni-Sarkozy have met before on several occasions and have a lot in common, so there shouldn’t be a shortage of things to talk about. They’re both in their 40s, mothers of young children, lovers of fashion, and balancing public lives that may clash with their private aspirations. Each has had to adapt in her own way to the reflected glory of marriage to a president. The Italian-born Bruni-Sarkozy was a star before she married the then-recently divorced French President Nicolas Sarkozy in February 2008, having gained fame as a model, songwriter, and singer. She recently added acting to her credits with a cameo role in Woody Allen’s upcoming romantic comedy, Midnight in Paris. Michelle Obama was well along on her career path as a top lawyer when she was assigned to mentor Barack Obama, and a former administration official who worked closely with the first lady says that early on, she had bouts of resentment over the realization that her life will never again be the same. It must also be maddening for her to stay clear of any visible role in policymaking when she is so smart and competent. But she seems to have made peace with it, carving out issues of work-life balance and taking a leadership role in combating childhood obesity. The remark created quite a ruckus, with the French Embassy and the White House denying it, and Bruni-Sarkozy insisting it was not true. The March meeting at the White House would have been the fourth time the two women saw each other, so the question would have been a bit belated, but if true, it wouldn’t be the first time that an occupant of the White House expressed frustration at the constraints that come with the job along with the expectations. President Clinton called the White House the “crown jewel of the U.S. prison system.” Hillary Clinton, as first lady, used to sneak out of the building disguised with a scarf and dark glasses for the luxury of a walk alone. When Laura Bush was in the White House, she made a point of vacationing each year with four girlfriends from Texas, women whom she knew she could trust and confide in without fear that her words would turn up elsewhere. Michelle Obama has avoided controversial issues, but like her French counterpart, she must have her frustrations. Michelle Obama is on her third chief of staff since entering the White House. The first, a campaign aide from Iowa, was relieved after just four months. The second changing of the guard is occurring this month, along with several changes at the senior staff level as the White House enters a new phase of the presidency with a divided Congress and a re-election campaign to focus priorities. Bruni-Sarkozy’s husband is also up for re-election in 2012, and it’s likely that she and Obama will discuss the roles each expect to play in their husband’s campaign. The French media are speculating that pregnancy would be the boost Bruni-Sarkozy could give her husband’s lagging poll ratings. She has a 9-year-old son from a previous relationship, and pregnancy rumors periodically pop up about the 42-year-old first lady. Bruni-Sarkozy is more outspoken than Obama, and in her work as an AIDS activist, has criticized the Catholic Church for its views on birth control and condom use. Her brother died of AIDS in 2006, and Bruni-Sarkozy is an ambassador for the Global Fund to Fight AIDS, traveling to India and Africa to boost awareness of the disease and prevention. Michelle Obama has avoided controversial issues, but like her French counterpart, she must have her frustrations. Sharing them is risky, however tempting it will be over the lovely lunch prepared for these two dynamic women.